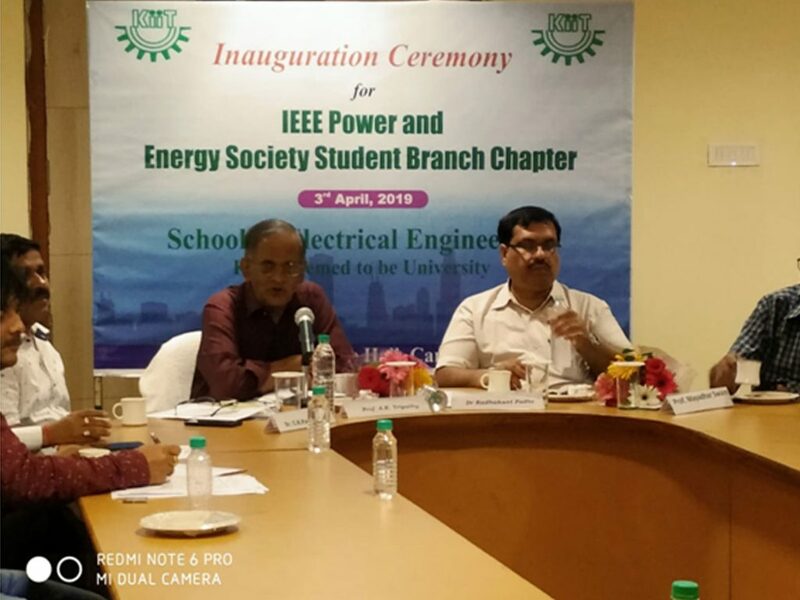 The Inaugural Ceremony of IEEE Power and Energy Society Student Branch Chapter was organized by School of Electrical Engineering, KIIT Deemed to be University at Conference Hall, Campus – 3 on 3rd April, 2019. 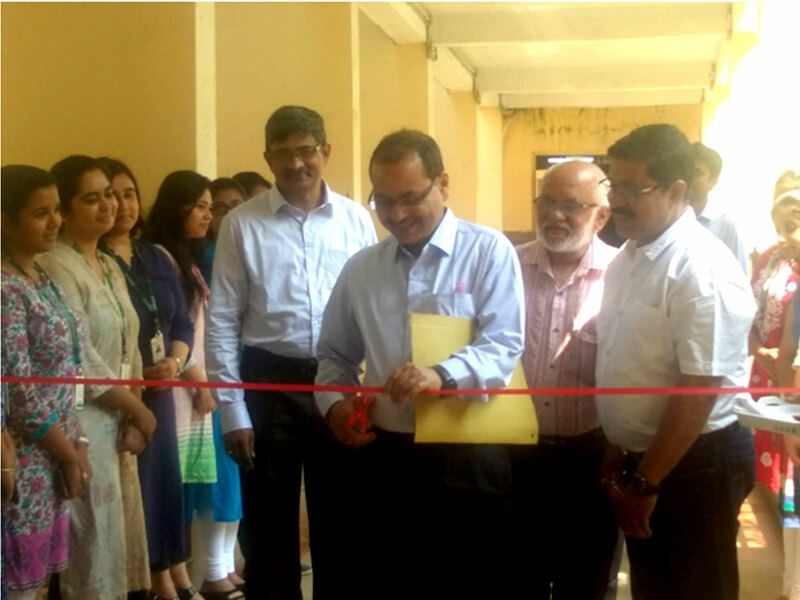 During the Inaugural function, Dr. C. K. Panigrahi, Dean, SOEE, KIIT DU gave the welcome address and highlighted the advantage of different activities under the banner of different student societies. He also said that we need to spread out multidisciplinary research and KIIT DU has been the pioneer in promoting such research works. Dr. Radhakant Padhi, Professor, Indian Institute of Science, Bangalore addressed the gathering about the benefit of the IEEE society. He laid more emphasis to conduct different kind of events to make the chapter more vibrant zone wise. Prof. A.K. Tripathy, former DG, CPRI Bangalore & Chair, IEEE Bhubaneswar subsection briefed the gathering on the IEEE activities of the IEEE Bhubaneswar sub-section. He also explained the benefit that can be derived by the IEEE student members. Prof. P.C. Panda, professor emeritus shared his experience about different events which can be conducted under the banner of IEEE student branch chapter. Eventually, Vote of Thanks was proposed by Dr. Satyaranjan Jena, Advisor IEEE Power and Energy Society Student Branch Chapter, SoEE, KIIT DU. In the inaugural function the IEEE student branch counselor Mr. S.K. Mohanty, Student branch chair Mr. P. R. Ghosh, all the student members and faculties of SoEE, KIIT DU were present. Moreover, School Level Project Expo was organized in the premises of School of Electrical Engineering on 2nd and 3rd April, 2019. Ananta Ram M, Chief General Manager, IT (SLDC), Bhubaneswar; Dr. C.N. Vende, IIT, Bhubaneswar; Dr. A. K. Panda, NIT Rourkela; Dr. Radhakant Padhi, Professor, Indian Institute of Science, Bangalore; and Prof. A.K. Tripathy, former DG, CPRI Bangalore were invited during School Level Project Expo-2019.